Flat form lifting bags eliminate the need for complicated height/weight computation graphs and uncertain lifting height calculations – simply stated a 35 tonne bag will lift 35 tonnes to a specified height. 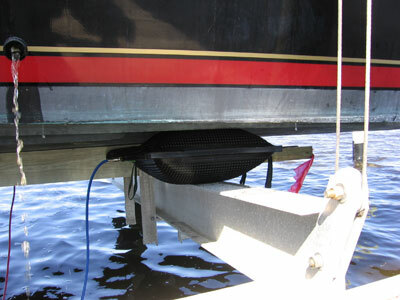 Flat form bags safely link together when stacked eliminating slipping. 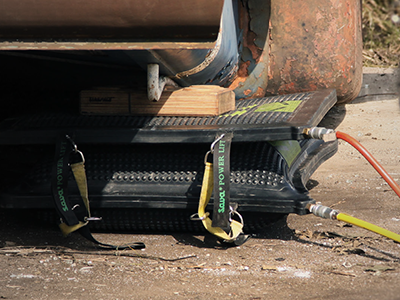 Flat form lifting bags retain their flat profile eliminating rolling and shifting. Heavy duty design and Kevlar reinforcing insure long life. 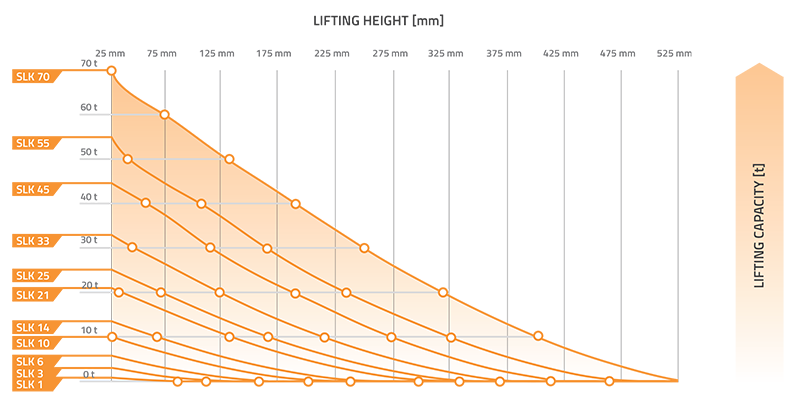 No more complicated graphs to work our maximum lifting height to weight ratios. Our high pressure lifting bags are reinforced with Kevlar cord. Patented lifting bag construction assures excellent operation over a longer period of time. All metal parts that are installed in a lifting bag are made of brass. Lifting bags are thin and simple to use. The surface with interlocking dimples provides superior gripping therefore sliding is almost impossible even when two bags are stacked on top of each other. Eleven different sizes of lifting bags ar available with the lifting capacity from 1 to 64 tonnes. Our foot pump is specially designed for those moments when a compressor or bottled air is not available. 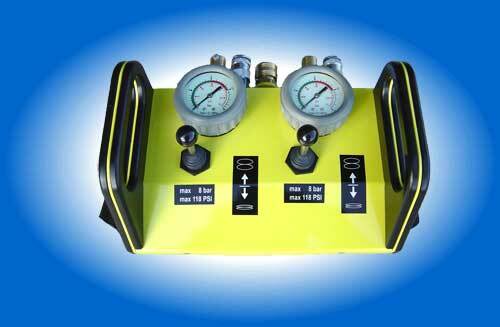 It comes complete with 2m of hose, its own 8 BAR Gauge and 8 BAR safety valve. This controls the inflation and deflation of the airbag and also prevents over inflation of the airbag with its integral relief valve; this therefore eliminates the need for a control unit and as such represents excellent value for money. 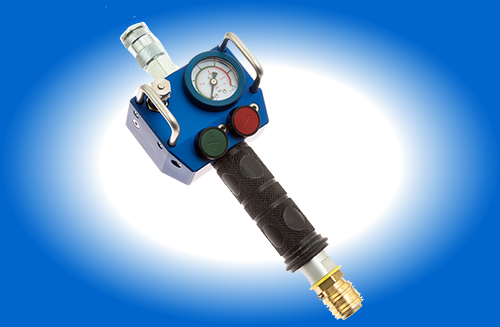 This regulator Code: D3557 is our most popular regulator, what with it accepting both 200 & 300 BAR inputs and its adjustable pressure output its flexibility makes it the obvious choice for almost any job and when you take into account it also comes complete with 2m of hose it is also a bargain. No wonder everyone wants this little gem.